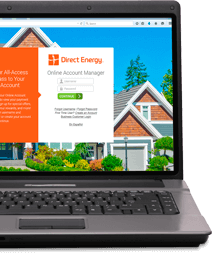 Just say "Alexa, ask Direct Energy to..." find your account balance, see when your bill is due and even refer your friends. 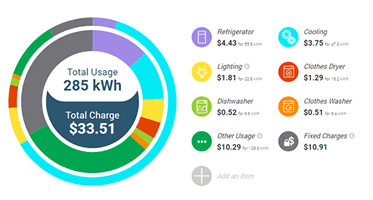 Plus, you can even manage your weekly, monthly and yearly usage. *Provisioned smart meter required. 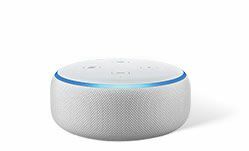 To utilize all features of the Echo Dot, you will need an 'always on' Wi-Fi internet service. The Echo Dot is given away by Direct Energy. Amazon is not a sponsor of this promotion. Use of the Direct Energy skill on Amazon's Alexa Service (the "Skill") is conditioned upon your acceptance of our Terms and Conditions. Please read all applicable rules, policies, and terms including those with Amazon.com ("Amazon"). Use of the Skill is voluntary. 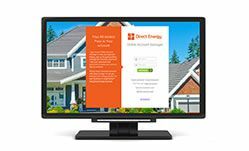 By installing the Skill, you are authorizing Direct Energy to share your account information with Amazon to fulfill your request, which will then go through the internet to your Alexa-enabled device. It's possible that your interactions with the Skill may be recorded. Consult your agreements with Amazon to learn more. 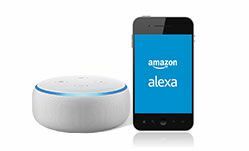 Amazon, Echo, Alexa and all related logos are trademarks of Amazon.com, Inc. or its affiliates.